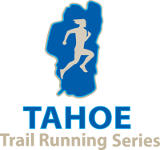 Huge thanks to Salomon, official footwear of the Tahoe Trail Running Series. Their lightweight, protective and speed oriented footwear is designed to address the performance needs of endurance athletes. Salomon reps and athletes will be present at many events to answer questions and let you demo Salomon shoes.